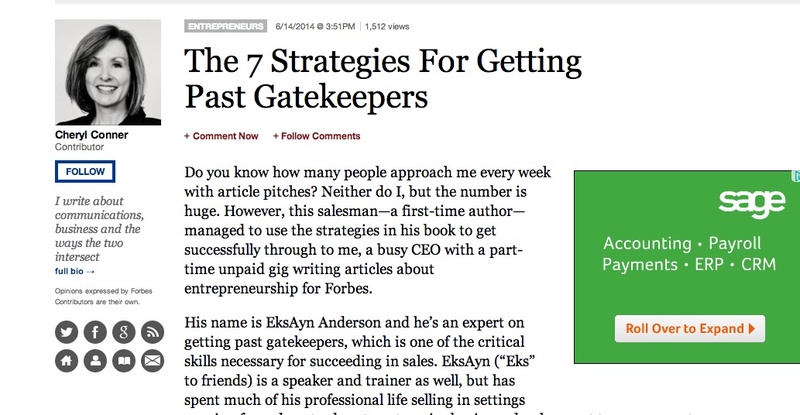 There have been some recent positive reviews of EksAyn Aaron Anderson’s book: The Keys to the Gate (amazon.com), including this one by Cheryl Conner in Forbes.com, The Seven Strategies for Getting Past Gatekeepers. Anderson rightfully observes that the first thing you must realize in “getting past” gatekeepers is treating them with respect. He also rightfully points out that if you want to make a sale, it is always wisest to go right to the top of the organization — once you succeed with the gatekeeper at the head, middle managers who might be delegated to do business with you will more likely respond. Aim high. In his earliest days of selling, Anderson looked for anyone he could get to. A pitch is a pitch, right? Wrong. When he reached mid-level managers, he was generally rebuffed. Rudely. Then he realized that influence flows downward. When he began with the boss, as often as not he’d end up making his pitch to the same mid-level manager, but under the boss’s direction. Now the manager would listen to him with utmost respect for as long as he needed. Lesson learned. Find the key decision maker and invest your energy in getting to that person, not to the people below. Underlying this respect and working to reach, of course, is the fact that you should really have a good reason to connect with the CEO. If you don’t then the question is, why are you bothering? Certainly, I’ve applied these concepts whenever I’ve been in the field selling. Perhaps the classic example of this process occurred when I asked our company’s salespeople to give me any of the files where they’ve been stumped. In one case, a major general contractor refused to return calls or do business with us. I searched on the Internet, and discovered a suitable, interesting project, worthy of advertising feature profiles in our Canadian publications. The shopping mall was owned by two major developers. So I went straight to the administrative assistant of the CEO of both of the companies, with an indvidually addressed courier package (sent to the CEO but c/o the admin assistant). I followed up with a courteous call (to the gatekeeper). The U.S. lead didn’t go anywhere, but I could see progress happening in Canada, as the executive assistant passed the file into the system — and I started receiving calls from various middle-level managers. Eventually, the file reached the person who would actually have the responsibility to decide on the project; the local site project manager. He said “Yes”. There was a second stage, however. I now went to the admin assistant of the CEO of the reluctant general contractor, and confirmed with her that we had indeed received express consent from their client for the project. Bounce, bounce, bounce, the file went through the general contractor’s ranks, ultimately landing at the office of the contractor’s direct project supervisor. We had a “go” and the feature proceeded, ultimately generating several thousand dollars in revenue. Yes, this stuff took quite a few weeks — and there are often quicker ways to get results. However, the lifetime value of this initiative proved to be incredible. 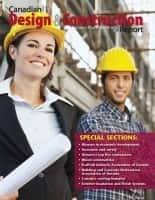 We began to understand the general contractor’s policies, developed relationships with individual site managers, and have received many additional opportunities to do what has now amounted to tens of thousands of dollars in business. 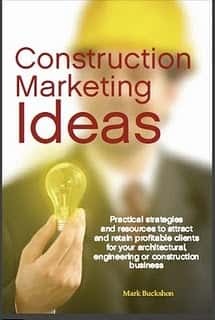 Here, because we understand the general contractor’s policies, internal structure, and of course we have been careful to maintain our integrity in our relationships, we don’t need to go through such great loops going forward. My view in “going to the top” is that you really need a valid reason for this type of attention — but it doesn’t need to be excessively complex, just suitable and relevant, and of course, you don’t generally need to deal directly with the CEO on simple things — his (or her) executive assistant can often provide the direct references and guidelines to more junior staff, where appropriate. But you should still aim high– just remember you should have an offer to make where the gatekeeper is your ally, not your barrier. Next articleOne-person renovation business: Looking for ideas to grow?